Summer always seems the perfect opportunity to introduce new lifestyle, fitness and beauty routines. With the days getting warmer, evenings getting lighter and lots of bikini wearing ahead, it's usually the time of year I put a that little bit of extra effort into my overall health and wellbeing. That's where Regime London comes in... 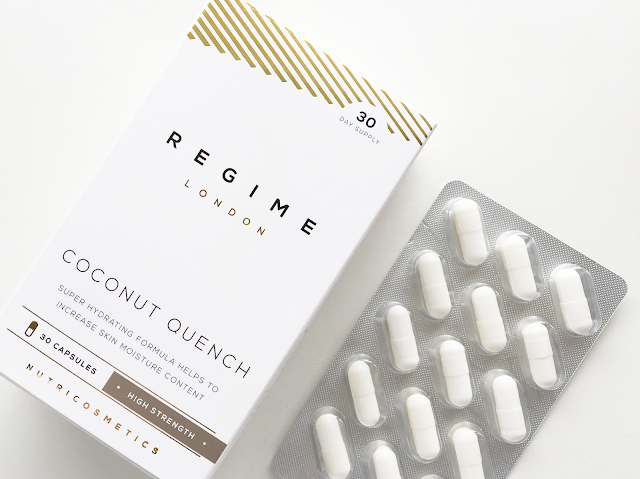 Regime London is one of the latest brands to join the expanding beauty supplements category, offering targeted supplements formulated with a range of innovative ingredients to improve the outward health and appearance of the body. 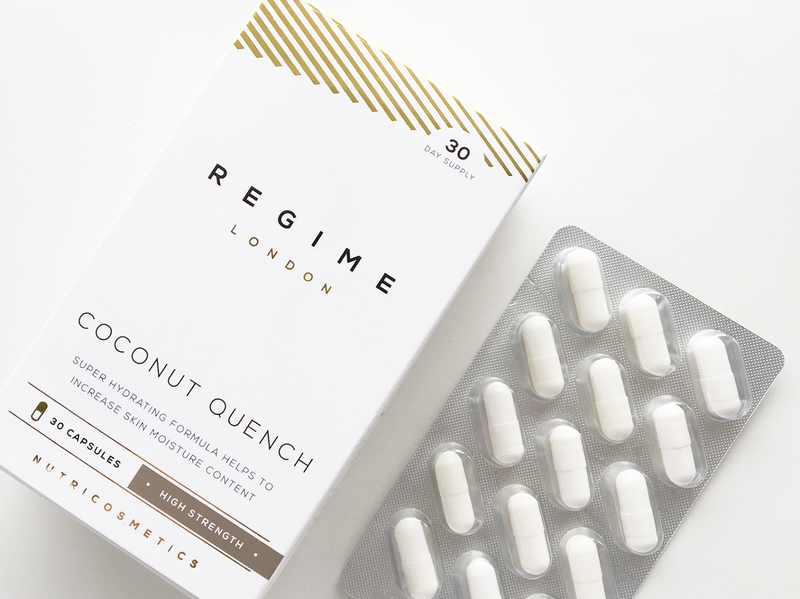 I was instantly drawn to the Coconut Quench supplements - blended with coconut water and hyaluronic acid to increase the skin's moisture content. The capsules also help to improve skin damage, smoothing and moisturising rough, dry skin for an easier application of make up. After just two months I've seen a noticeable difference in the appearance and texture of my skin. It feels super hydrated and is visibly more plumped. This alongside an increased intake of water, my daily nutriblast and a few sessions of Kayla Itsines' bikini body guide (this girl is my god), I've really started to notice an impact on how I look and feel. Summer, I'm ready for you! Kayla is my god too! I may have to give these tablets a try, they sound great.